Ladies and gentlemen, dust off your teapots -- it's time for the Second Annual Red Red Advent Tea Swap! As the first swap was such a success, we are really excited to repeat the tradition! Last year, teas arrived from all over the world, including China, Finland, England, and America. We tried unusual flavours, found some new favourites, (as well as discovering that Justin thinks chamomile tastes like "warm urine") and loved sharing the experience with some of you. 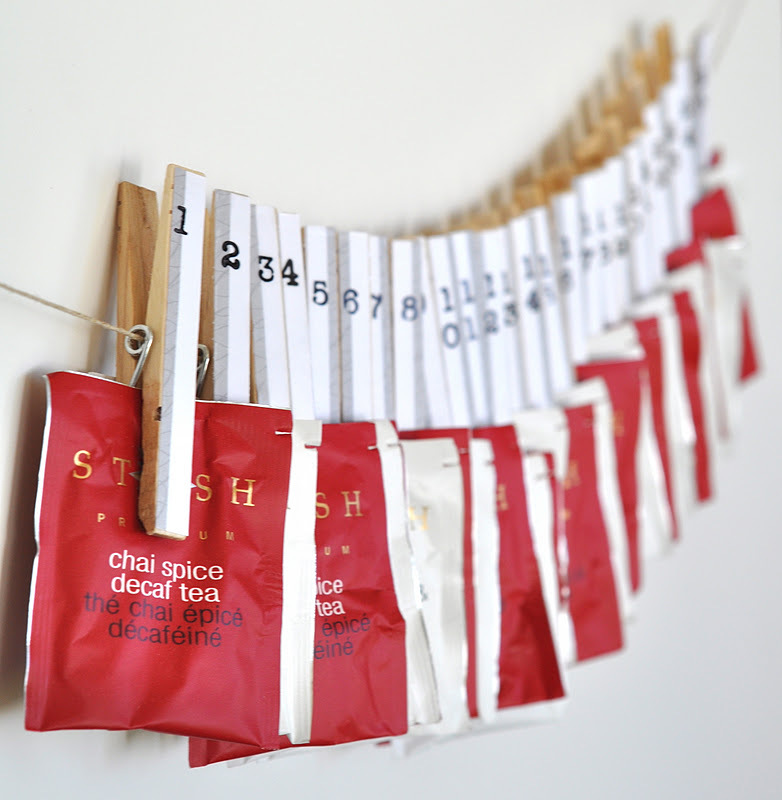 What you'll do: You'll be paired up with four other tea swappers, and send each of those people 5 bags of tea. 20 bags of tea will arrive for you -- paired with the 5 you kept for yourself, you'll have enough for one bag of tea for each day of advent, and a one for Christmas Day. You can make yourself a tea wreath to display your advent tea, check out my advent tea calendars, or just keep all your teas in a nice pot by the kettle! How to join in: Send me an email at astrid@redredcompletelyred, before November 13th, including your mailing address, so that we'll know where to send the tea! Yay! I am excited! I was hoping you'd do one again this year. Count me in! Dang! I missed this year but I LOOOVE this idea! Is it too early to sign up for next year? this is such a fabulous idea. i just heard about it today and i'm SO jealous of everyone who got to participate. i really really hope you do it again next year!